Automotive torque converters are a type of fluid coupling used in vehicles with automatic transmissions to transfer rotating power from the engine to the drive shaft. Designers of torque converters strive to maximize efficiency and torque ratio at high speeds by minimizing cavitation in the device and ensuring good flow behavior of the transmission fluid. CAESES provides functionality for modeling these complex geometries and plugging them into a simulation-driven design and optimization loop. 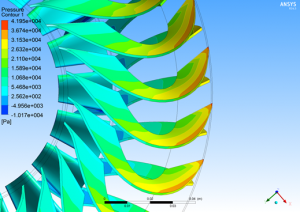 Any specialized CFD package or in-house code can be coupled to CAESES and used to analyze the flow behavior of the device for each new design candidate. We’ve undertaken a project for a client who is amongst the largest automotive transmission manufacturers worldwide. 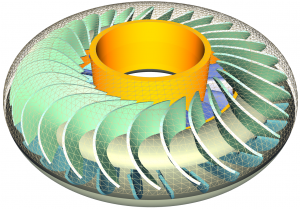 The study included couplings with popular CFD codes XFlow and ANSYS/CFX for full 360 degree transient and MRF quasi-steady simulations respectively. 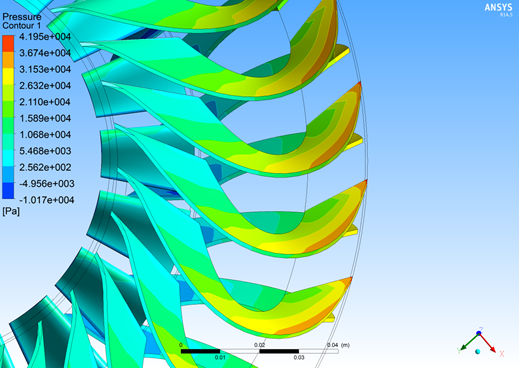 In the initial project we only considered variations in the stator geometry, and the optimization yielded efficiency improvements in excess of 3%. 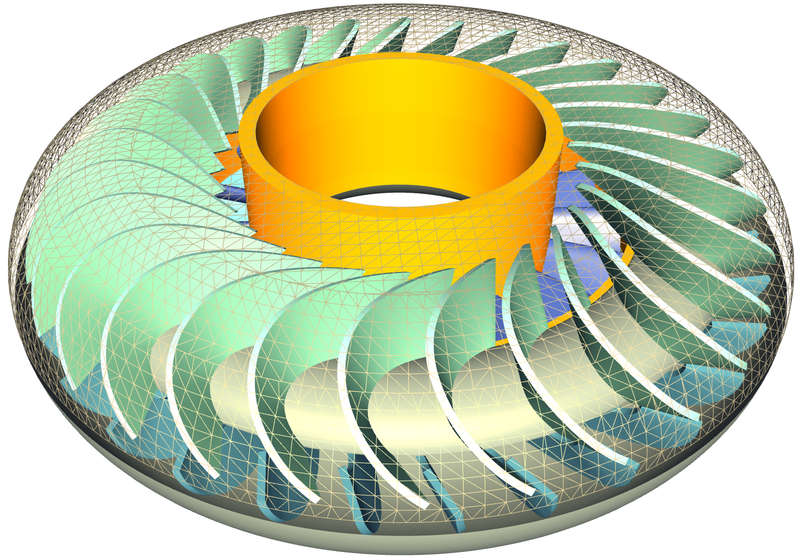 It would also be straightforward to parameterize the turbine and pump blades in order to include them in the variation study, which would possibly yield even greater performance gains.